The senses deceive from time to time, and it is prudent never to trust wholly those who have deceived us even once. The sea-change brought on by Wittgenstein’s unpublished work in the 1930s centered largely on the idea that there is nothing wrong with ordinary language as it stands, and that many traditional philosophical problems were only illusions brought on by misunderstandings about language and related subjects. Wittgenstein held that the meanings of words reside in their ordinary uses, which is why philosophers trip over words taken in abstraction. Philosophy had gotten into trouble by trying to understand words outside of the context of their use in ordinary language. For example: What is reality? Philosophers have treated reality as a noun denoting something that has certain properties. For thousands of years, they had debated those properties. Ordinary language philosophy instead looks at how we use the word reality in everyday language. In some instances, people will say, “It may seem that X is the case, but in reality, Y is the case”. This expression is not used to mean that there is some special dimension of being where Y is true, although X is true in our dimension. What it really means is, “X seemed right, but appearances were misleading in some way. Now I’m about to tell you the truth: Y”. That is, the meaning of “in reality” is more akin to “however”. And the phrase, “The reality of the matter is …” serves a similar function — to set the listener’s expectations. Further, when we talk about a “real gun”, we aren’t making a metaphysical statement about the nature of reality; we are merely opposing this gun to a toy gun, pretend gun, imaginary gun, etc. Wittgenstein’s method requires a careful attention to language in its normal use, thus “dissolving” philosophical problems, rather than attempting to solve them. Wittgenstein would probably call my experience of the Elm as unreal, a case of “language gone on a holiday.” Did I think someone had done a paper-maché sculpture that looked exactly like a living tree? Was I suspicious that someone was creating a 3-D projection of an Elm? Was I unsure whether I’d just walked onto a Hollywood movie set? Those would be ordinary reasons to use the language of real and unreal or fake – how we’ve learned to use these words. In our ordinary language real and unreal are used to contrast one event or experience with another. When you take them out of that context to a place where there is no contrast – in “everything we experience is an illusion,” for example, there is no possible contrast to unreal – the use of the word evaporates and you are left wondering what the unseen, real world could be made of. We still feel the drive of the word to evoke a contrast, but we’ve taken it out of a context where one is available. The language has gone on a holiday. Of course, it took me years of study (3 years as a U of M undergraduate, 4 years of graduate study and Indiana University, including a Master’s in Literary Criticism from the Kenyon School of Letters) to follow the trail and find, a la Wittgenstein, the source of the mystery. …was (you might say) satisfactory. The phrase “How is that word used in Ordinary Language?” became a mantra for me, and it remains with me today. I want to understand how the language is used, where it’s meant to be used. And I’m fascinated by the consequences of exporting language to unfamiliar places. It’s sometimes very exciting (for example, its role in creating metaphor) and sometimes not, when the word’s function in the language evaporates and it seems both to mean something and not mean anything at the same time. “Is that tree real?” loses its meaning when real is wrenched out of its natural habitat in Ordinary Language. The same thing happens when we allow either musical rhythms or poetic rhythms to overpower the natural shape of words and phrases. We lose meaning. We lose emotion. Let’s look at each of these in turn. Some people think they’ve got it rough shopping for their ideal mate. Kid stuff. Songwriters are the ones who really suffer, because whether or not we’re happily married, we are eternally condemned to keep searching for the perfect match every time we join a word to a note. Sometimes we find it, sometimes we don’t. And even when a match is perfect, we know we’ll be back on the streets one syllable/note later, eyes open, determined, hopeful. Perhaps Wittgenstein and I can offer some succor to the tormented songwriter. Words and notes start with something in common: both belong to dynamic communities of stressed and unstressed members. The trick is to match each with their own type, stressed notes with stressed syllables, unstressed with unstressed. Recognizing which is which is sometimes easy, sometimes an art: depending partly on the words and notes themselves, partly on their context. Look at a bar of 4/4 time. The first half-note is stronger than the second, though they are both stressed. A perfect match. Now look at the phrase “Please darling, come back.” “Come back” is the opposite of “bridegroom.” Again, both syllables are stressed, but now the second is stronger. Setting come báck like “bridegroom” would be poor prosody — the musical stresses and the syllables’ stresses would be opposite. Not that a poor match breaks any mythical rules; it just sounds unnatural. We lose the illusion of a real person making a real statement, deflating the emotion of the language and distracting the listener. This is crucial: a song is simply natural speech, exaggerated. Syllables are the basic building blocks of all language. If you’re not used to dividing words into syllables, check your dictionary. If you don’t have one, stop reading and get one. It is a tool of your trade. Words of two or more syllables have a little melody, with the stressed syllable “on the beat.”Pronounce the word “incision” as naturally as you can five times. Now, slow down and listen to yourself. Hear differences between syllables. “Ci” is higher, louder, and longer than the other two. Multi-syllable words are easy because we agree on them. They’re listed in our book of agreements — the dictionary. So how about one-syllable words, the staple of English and especially of lyrics? Don’t bother looking in the dictionary; it doesn’t mark one-syllable words. Unstressed one-syllable words mostly just stand there and hold signs to show the workers where to go. They don’t sweat. Of course, any of them can be stressed when a contrast is involved. I asked you to throw the ball to me, not at me. I asked you to throw the ball to me, not to her. I asked you to throw the ball, not him. Look at this verse is from Sting. Read it a few times first, then try to mark its accented syllables. Before in line three is interesting: though it contains a stressed syllable, the word itself is a preposition, a sign holder. Don’t marry its stressed syllable to a note that works hard. The Stress on before is pretty wimpy. It wouldn’t get along with a sweaty note. Sometimes, finding stress is harder, especially in strings of one-syllable words with hard-to-judge gray areas. Don’t panic. The most important words are usually easy. Let’s try. When I got home the house was dark. Start with the obvious sweathogs. “The” and “was” are clearly unstressed. How about When I got? “When” probably isn’t stressed. In context, “I” could be stressed if someone else was coming home. “Got” could be stressed if the lights came on (maybe a surprise party) soon afterwards. But most likely, we are looking at da da da Dum da Dum da Dum: When I got home the house was dark. It is quite clear what the first three words are not. They are not the most important words in the phrase — typical for words in gray areas. Even if some words aren’t so clear, you know which ones work the hardest. No problem setting this phrase to music — just save the stressed beats for the stressed words. Work the gray ones out with a little trial and error. Whether the lyric is written before, at the same time, or after the music, its syllables are intended to fit with notes. If you are going to match them up, you’ll have to know how to tell sweaty notes from dry ones. In a bar of 4/4 time, the first (downbeat) and third quarter-notes are stressed. The second and fourth aren’t. This is the same pattern of strong-to-weak established by half-notes. Two-syllable prepositions like “before” and “over” don’t work hard enough to put the stress in a strong musical position. The stressed 8th notes of beat two and four fit them perfectly. Not too wet, not too dry. 4/4-time is architectonic: it preserves the same pattern (strong-to-weak) through all of its subdivisions, no matter how small — eights, sixteenths, thirty-seconds, etc. This is important for setting words into measures with rests and mixed note values. Bar five runs Dum da Dum da /(Dum), The first stress is an anticipation that adds strength to beat three. The second stress is weaker, anticipating the fourth beat — a perfect place for a syllable like before. The third stress anticipates a downbeat, making it the strongest position in the phrase. Bars six and seven are the most interesting. Lyricists spend a lot of time trying to match patterns — word patterns to note patterns, or words to words, like writing a second verse to match a first. What if you had to write another section to match this one by Sting? Look at it closely. Not only should you line up your stressed and unstressed syllables exactly the same, you also should put your most important words in the same places. Look at this try. Look at all the places where stressed syllables appear in unstressed musical positions. These “greedy” spots sound hurried and unnatural, calling attention away from the emotion of the line. Cool dry spots would have trouble connecting with such sweaty bruisers. It would be a bad match, not to mention bad prosody. This one’s too cool. It pretends to say something in all those important musical places, but ends up just sounding overwrought. Enough to lose anyone’s interest, especially those sweaty notes hoping for someone to match their passion. Marital bliss. This one is just right, matching the prosody of the original. Note and word stresses match, and the most important words are in the same places. Stressed with stressed, Unstressed with unstressed. Now it’s your turn to write a perfect match to Sting’s music. Take your time, and write a better one than I did. My uncle Ed and aunt Edna call me from Maine to invite me to Thanksgiving dinner. Yum. Aunt Edna is a fabulous cook. I love her cranberry and almond stuffing. And of course I know that the first question they’ll ask is “So, what route did you take?” Whichever answer I give, one of them will stiffen a little. It’s kind of a competition between them. What to do? I can’t follow both routes. In the lead song from Lady Antebellum’s self-titled hit album, “Love Don’t Live Here,” they invite us to take a journey. The song contains roadmaps, telling us how to proceed, where to go next, what connects to what, when to pause for a rest, when and where to stop. Listen to the song here. Let’s focus on the lyric and its roadmap. How does it divide its own ideas? Line 2 repeats the melody of line 1, again subdividing into 2 phrases. Thus, the melodies of lines 1 and 2 set up a roadmap: they repeat same melody, indicating that there are two separate, independent musical ideas. Line 4 repeats the melody of line 3, again subdividing into 2 phrases. Thus, the melodies of lines 3 and 4 set up a roadmap: they repeat same melody, indicating that there are two separate, independent musical ideas. Either way, the melody and the lyric create different roadmaps, and the result is confusion. Which map are you supposed to follow? It’s harder to pay attention to what’s being said. As in the last two lines of verse one, the melody and the lyric here create different roadmaps, causing confusion and diminishing the impact of the ideas. OK, so what can we do about it? The goal, of course, is that the lyric and melody work together – that they create compatible roadmaps, supporting each other and making the combination stronger than either the lyric or melody alone. This seems to be a pretty straightforward solution. Now the melodic and lyrical roadmaps support each other. Each one defines a complete idea. They take us on the same road. It’s a pretty cool way of bridging the gap in the melody by referring back to the last idea, connecting the lyric phrases with a little reminder of where it’s come from. 3. Repeat a word from the first line at the beginning of the next line. Here it’s a bit more complicated to change the lyric roadmap, because of the rhyme words. This changes the melodic roadmap by blurring the division between the two independent melodic lines, thus matching the “through-written” character of the lyric. Here, repeating a word at the end of the first line and the beginning of the next won’t work. Sticking with number 4 is a self-fulfilling prophesy: if you arrange your phrases believing that matching the lyrical and melodic roadmaps doesn’t matter, you’ll be right. No one will listen to the lyrics anyway. If you try to follow both maps, you’ll end up not knowing where you are. Your listener, in the presence of conflicting sets of directions, will be thinking about something other than what you’re saying, and may never get to taste Aunt Edna’s special recipe for cranberry stuffing. Oh, did I almost see? Say the first line several times without listening to yourself. Then slow it down and listen to your pitches. Say it like you’re talking to someone who just pulled away from you. I’ll wait. Say it a few times, and compare it to the ordinary language version. 1. Oh, did I almost see? 2. Oh, did I almost see what’s really on the inside? Say them both several times, especially noticing the pitch of “what’s” in both versions. Right. In “What’s really on the inside?” “what’s” is stressed, as it should be in its identity as an interrogative pronoun, introducing a question. First, “What’s” is stressed in its position in the 3rd beat of the bar, coming down on the side of a question introduced by the interrogative pronoun. Oh, did I almost see what’s really on the inside? makes emotional sense. The differing roadmaps –musical phrases and lyric phrases – split the grammatical unit unnaturally and meaning evaporates. When you say it, the primary stressed are in “All” and “inseCUrities,” a 5-syllable word with its primary stress in the middle, and secondary stresses on “in” and “ties.” Listen to your pitches as you pronounce it. The 2nd and 4th syllables ate the lowest in pitch, the 1st and 5th are medium, and the middle, cur, is the highest pitch. There’s no issue scanning this. Right? Shouldn’t be an issue setting it either. Right? The stressed syllable of “Never” is on beat 3, and the unstressed syllable is in the powerful downbeat position. The unstressed pronoun “me” is on beat 3 and the strong verb “blink” is relegated to the corner in beat 4. Additionally, “time,” which is stronger than “one” is in a weaker position. But the natural flow of the line is chopped into two melodic phrases, compounding the setting fracture and amputating meaning altogether. Of course, there’s the egregious setting of uncondiTIONalLY, with the primary musical stress in exactly the wrong place, but equally ugly is the emphasis on the pronouns at the expense of “love,” on the 4th beat of the bar, making it sound like “I will a view.” Not to mention the final syllable, LY, on a downbeat. Finally, another terrible setting of unCONdiTIONalLY, after the non-declaration of love. Again, if you read the whole section naturally, in, if you will, ordinary language, the sentiment is lovely. Something everyone aches to hear. Combined with this setting, it’s reduced to a cartoon. One is left listening only with Dr. Luke and Max Martin’s production, since all the meaning of the lyric has been vacated. Maybe that was their plan. The problems we’ve just seen in “Unconditionally” arise because 2 different elements, both rhythmic, join together to create a union. Unless the natural shape of the language is preserved by the musical rhythm, the result will falter and mean less than if the words were simply spoken. The same is true in poetry, at least in poetry that attempts to establish a rhythmic base: the entire panoply of poems written in iambics, essentially 2/3rds of the poetry written in English. They work like songs, in that the meter (or iambic pulse) that creates motion is joined to words. Unlike songs, the meter only creates expectations that the iambic pattern will continue, whereas in songs the music and lyric are articulated simultaneously. The poet sets the meter up by creating patterns of unstressed and stressed syllables, then departs from the da DUM da DUM pattern to make an expressive point. Once again, the natural stresses of the language need to be served in order to make the poet’s syncopations against the pulse effective. This is syncopation. It cuts against the established pattern (da DUM) and substitutes the variation (da da), violating our expectations. This calls our attention to a variation that creates a diminuendo, supporting the idea of quietude. Nice. Once again, the diminuendo at “da da” supports the concept of “silence” – is an example of it. But even more remarkable, the double stress at “slow time” slows the line down, supporting the concept of SLOW TIME! Wonderful prosody is created by these syncopations. They enhance and support the meaning while, at the same time, creating a spotlight by surprising us—not doing the expected. That’s the gig for these poets. They do it very well. Note that the syncopation is achieved by creating variations in the pattern of stressed and unstressed syllables. Stressed and unstressed syllables are the fundamental building blocks both for establishing the pattern and creating variations. The variation is NOT achieved by keeping the same rhythmic pattern and mis-stressing syllables. If this were the way to create variation—by keeping the same meter and wrenching the words into an unnatural shape, we would lose the wonderful effects so hard won by diligent work and paying close attention. It would be the substitution of laziness and indifference for craft and talent. Worse, the support of the concept using rhythm and variation (like DUM DUM slowing the line down exactly where we’re talking about “slow time”) vanishes in a cartoon of language – a pointless flashing of light on the wrong thing. The technique of pattern and variation is simple and straightforward. You don’t have to distort the natural shape of the language, because all you have to do is arrange the natural stresses (the ordinary language) so that THEY create the variations, while keeping our attention focused on meaning. Distorting the shape pulls our focus away from meaning rather than supporting it and enhancing it. In my view, the same principles apply directly to the matching stressed notes with stressed syllables and unstressed notes with unstressed syllables. Don’t mismatch them, rather, use the musical patterns of weak and strong (matched perfectly with syllables) to create expectations, then use the musical variations (matched perfectly with syllables) to enhance and support the meaning. All the while preserving the natural shape of the language, thereby keeping attention focused on meaning. “How is that word used in Ordinary Language” and “Preserve the natural shape of the language” have become, for me, 2 sides of the same coin: Just as “Is that tree real?” loses its meaning when real is wrenched out of its natural habitat in Ordinary Language, we lose meaning and emotion when we allow either musical rhythms or poetic rhythms to overpower the natural shape of words and phrases. Mantra: Preserve the natural shape of the language. 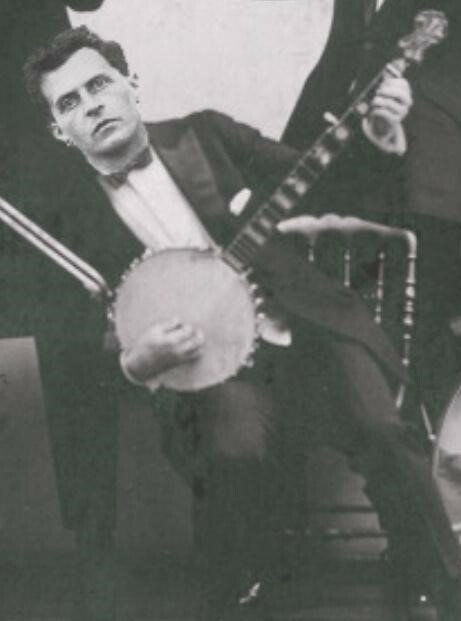 I have no doubt that Wittgenstein, not only a philosopher, but a consummate musician, would agree. Pat Pattison is a Professor at Berklee College of Music, where he teaches Lyric Writing and Poetry. In addition to his four books, Songwriting Without Boundaries, Writing Better Lyrics, The Essential Guide to Lyric Form and Structure, and The Essential Guide to Rhyming, Pat has developed five online courses for Berkleemusic.com: three lyric writing courses, one on poetry, and one on creative writing. He has filmed a series of lectures for coursera.org with over 300,000 students enrolled since the first run in 2013. Pat has written over 50 articles for various magazines and blogs and has chapters in both The Poetics of American Song Lyrics and the current Handbook on Creative Writing for Edinburgh University Press. Pat continues to present songwriting clinics across the US, Canada, Australia, New Zealand and throughout Europe. Several of his students have won Grammys, including John Mayer, Tom Hambridge, and Gillian Welch. FUSION, Berklee’s global arts magazine, publishes art, photography, writing in all genres, video, and music by students, faculty, staff, and alumni from across the U.S. and our international communities. We also feature distinguished guest artists, many of whom have received NEA, NEH, and Guggenheim fellowships, among other major awards.